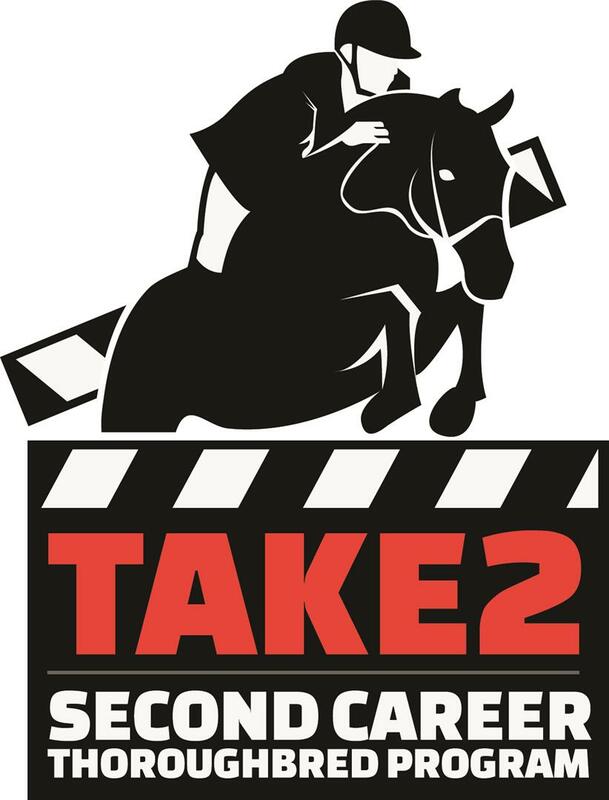 Launched in 2012, the TAKE2 Second Career Thoroughbred Program sponsors Thoroughbred-only classes at horse shows across the country. The program was the brain child of Thoroughbred trainer and New York Thoroughbred Horsemen’s Association (NYTHA) President Rick Violette, who worked with former New York Racing Association Director of Racing P.J. Campo to get it started. The New York Thoroughbred Breeders Inc. (NYTB) was also instrumental in getting the program off the ground. Focused specifically on the Hunter/Jumper disciplines, the popularity of TAKE2 classes has grown exponentially. In its first year, TAKE2 divisions could be found at three horse shows but, today, the program partners with more than 350 horse shows in 23 states. To be eligible to compete in the classes, Thoroughbreds can be raced or unraced, but all must have had their breed confirmed by The Jockey Club, commonly, via registration papers or a Jockey Club Thoroughbred Incentive Program card. In 2015, the program began the TAKE2 Thoroughbred League, offering year-end, high-point cash prizes to the top 10 Thoroughbreds in the two divisions. A total of $30,000 in awards is available to League members accumulating the most points over the competition season. To participate, Thoroughbred owners must submit a registration form with a nominal fee. TAKE2 is largely supported by the Thoroughbred industry, with contributions from founders NYTHA and NYTB, as well as Fasig-Tipton’s Blue Horse Charities, Florida Thoroughbred Farm Manager’s, New York Thoroughbred Breeding and Development Fund, Ocala Breeders’ Sales Company, and Thoroughbred Horsemen’s Associations in Illinois, Maryland, New Jersey and Pennsylvania. In 2016, TCA’s grant to the TAKE2 program assisted with the launch of the Jet Run Award, which recognizes the top Thoroughbred League high-point Hunter and Jumper rehomed from an accredited or TCA approved aftercare organization. The award is named for Maryland-bred Jet Run, the former race horse that captured three gold medals in the Pan American games while representing two different countries. The inaugural Jet Run Awards will be presented at the end of the 2017 season.